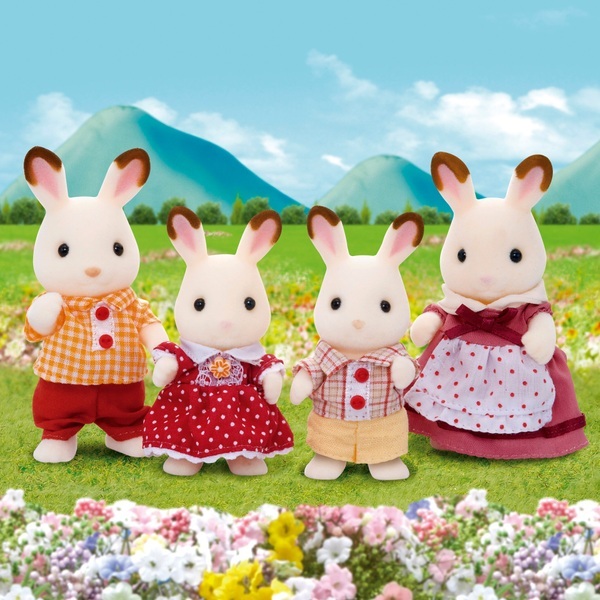 Sylvanian Families are an adorable range of distinctive animal characters with charming and beautiful homes, furniture and accessories. They live, work and play in the idyllic and wonderful land of Sylvania. Frasier Chocolate has been making sweets since he was a young boy and hes now a confectioner of the highest calibre. It all started when his mother showed him how to make crystallised fruit, which is very easy, but his chocolate creations today are a work of art as well as tasting heavenly. Teri Chocolate makes all the fillings for Frasiers chocolate creations; the strawberry surprise being the best. Her kitchen is always full of the rich smell of fruit mixed with the sweet smells of sugar and spices bubbling in pots. It makes your mouth water just thinking about it! Coco Chocolate is not permitted to help his father or mother in the preparation of their confectionery concoctions because he cant help eating more than he makes! Hes put to useful employment as the delivery boy forhe business. Freya Chocolate, unlike her brother, doesnt eat sweets or chocolate, so she helps her mother prepare the fillings. She does eat a lot of the fruit though! Contents 4 pose-able collectable characters in detailed clothing.